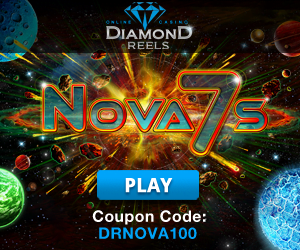 The webpage of Diamond Reels Casino is stylish, energetic and it’s easy to navigate. 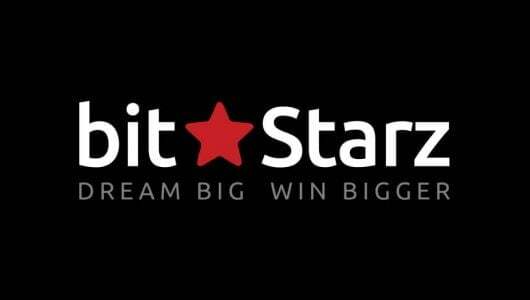 The operator is licensed in Curacao and runs on the RealTime Gaming platform. The casino’s more than 200 games is playable on desktops and mobile devices. 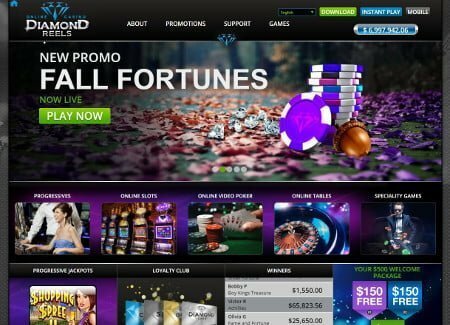 Players from the United States and from the rest of the world are welcomed with a competitive sign on bonus and a decadent ‘Loyalty Club’ that takes care of VIP players. If you’re based in the U.S and you’re concerned if it is legal to play here since the site is not regulated by a U.S state or the U.S government. Rest assured that U.S players are allowed but the minimum age must be 21. Setting up an account is easy, if you experience any problems during the registration process, shoot the friendly staff an email or you can grab hold of them on live chat. Restricted countries: Chile, Denmark, Finland, Japan, Netherlands, Philippines, Poland, Turkey, South Africa and the U.S state of Kentucky. The sign on bonus of $500 spread out over 3 deposits is as good as any bonus I’ve seen. The bonus is not compulsory but it’s a nice incentive from the casino to entice new players to sign up and to get them playing. The first bonus up for grabs is 150% up to $100. Before the bonus is credited to your account it must be redeemed first with the following bonus code: DR150. To unlock the bonus, $25 or more must be deposited first, all slots and bingo contribute 100% towards the turn over requirement. Other games like blackjack, roulette, table poker, European, Red Dog and scratch cards contribute 25% and video poker 10%. The play-through requirement on slots is 30 times the deposit and bonus sum. Aside from slots, can I use the bonus to play other games? Yes you can but you must wager more cash before any winnings associated with the bonus is released. Reason being the odds of card games and video poker favor the player and not the house. If it’s you first time and you’re not sure how the roll over bit of the bonus works here’s a brief explanation. 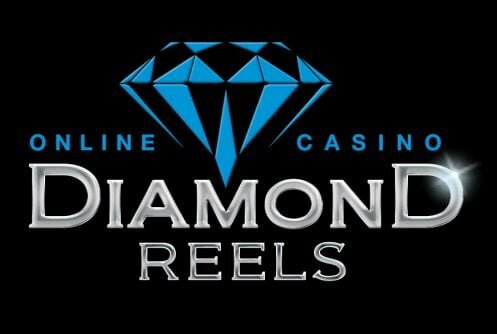 Let’s say you deposit $150, Diamond Reels Casino will add another $225 (150%) to your current deposit which increases your bankroll to $375. 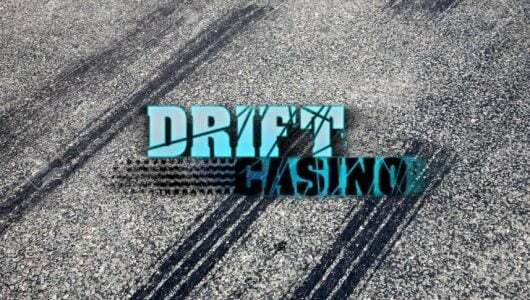 You can only withdraw the cash you’ve won once you’ve spun the reels to an amount of 30x$100+$150=$6,750. A bonus meter notifies you how much wagering must still be done before the bonus is released. 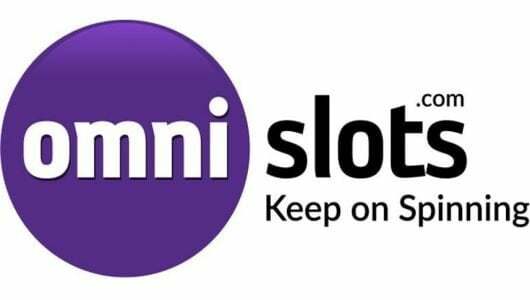 The operator has a slew of weekly promotions on the go that includes daily match bonuses, free spins on selected slots, cash back on losses and a VIP program that is divided into different levels. High staked players will be happy to hear that the rewards program starts off with ‘Club Tier up to Diamond level. What can VIP players expect? To give you an example, Diamond VIP’s receive 2 comp points for every $1 wagered. In my books this is superb value for money. One thing that strikes me about the casino’s game menu is that it focuses primarily on slots (3 and 5 reel classics and video slots). In other words they constitute the bulk of the games. Luckily it’s not all about slots. Other games that grace the menu are million dollar progressive jackpots, a mobile casino, video poker, blackjack, red dog, tri card poker, pai gow poker, baccarat, craps and bingo. All in all no surprises here just the same run-of-the-mill RTG games. Only a small variety can be played. Old-time classics include Jacks or Better, Loose Deuces, Aces&Eights, 7Stud, Joker Poker and All American. Video poker offers a great return but you must understand the odds of the game you’re playing and its basic strategy. The staff can be contacted through a live chat text facility, email ([email protected]) or phone. I chatted to ‘Mike’ who walked me through the registration process; he explained to me how the bonuses work and how to make a withdrawal. No complaints here, all I can say is the bloke knows his stuff. 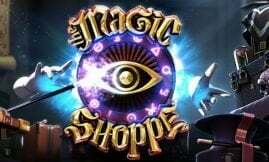 The casino keeps you posted when it comes to its newest game releases and forthcoming promotions with regular emails to your Inbox. Your private details are protected by SSL encryption software-it’s the same software used by banks across the globe. It’s safe to say that your personal information is safe, it will not be sold or shared with any other party other than the casino. The various games listed are tested to ensure that they’re safe and fair. At the time of writing the RTP (return to player) of all the games boasted a return to player ratio of 97%-obviously some games will have higher RTP’s than others. A responsible gaming section takes care of players who want to self-exclude themselves or needs a cooling off period. Players who want to self-exclude must contact the casino first and they must state the period they wish to be self-excluded. I’m happy to report that deposit and session limits are available too. If you feel that you have a gambling problem the casino lists links to various gambling counseling sites. Not many deposit and withdrawal methods are available to players from the United States. Deposit options that can be used are credit cards which can be refunded to cards for withdrawal, Bitcoin and wire. International customers can use Poli, Bitcoin, Skrill, Neteller and credit cards (Visa and MasterCard). This Casino accepts U.S Dollars, Australian Dollars And Euros.